For other people named Greg Lake, see Greg Lake (disambiguation). Born and raised in Dorset, Lake began to play the guitar at age 12 and wrote his first song, "Lucky Man", at the same age. He became a full time musician at 17, playing in several rock bands until fellow Dorset guitarist Robert Fripp invited him to join King Crimson as their singer and bassist. They found commercial success with their influential debut album, In the Court of the Crimson King (1969). Lake left the band in 1970 and achieved significant success in the 1970s and beyond as the singer, guitarist, bassist, and producer of ELP, of which Lake wrote and recorded several popular songs with, including "Lucky Man" and "From the Beginning". Both songs entered the UK and US singles charts. Lake launched a solo career which began with his 1975 UK hit single "I Believe in Father Christmas" peaking at number 2 in UK charts. He went on to release solo albums and singles thereafter, collaborating with several artists in the process. Lake performed with various groups in the 1980s, and occasional ELP reunions in the 1990s, and toured regularly as a solo artist into the 21st century. He died on 7 December 2016 in London after suffering from cancer, at the age of 69. Greg Lake was born on 10 November 1947 in the Parkstone area of Poole in Dorset, to Harry, an engineer, and Pearl, a housewife. He grew up in the residential suburb of Oakdale. Speaking about his childhood, Lake said he was "born in an asbestos prefab housing unit" into a "very poor" family, and remembered several cold winters at home, but credits his parents for sending him money and food during his time as a struggling musician. He later described his upbringing as a happy one. At the age of 12, Lake first learned to play the guitar and wrote his first song, "Lucky Man", which he did not write down and committed it to memory. He named his mother, a pianist, as his initial musical influence and she bought Lake a second hand guitar to learn on. Lake then took guitar lessons from Don Strike who taught him "these awful Bert Weedon things", reading musical notation exercises with violin pieces by Niccolò Paganini, and playing 1930s pop tunes, the latter of which became an influence on Lake at the time. After roughly one year with Strike, Lake ended his tuition as he wished to learn songs by The Shadows, a favourite band of his, but Strike "wouldn't have any of it." Lake's second guitar was a pink Fender Stratocaster. Lake attended Oakdale Junior School followed by Henry Harbin Secondary Modern School, and left the latter in 1963 or 1964. He then took up work loading and unloading cargo at the Poole docks, and as a draughtsman for a short period. Lake then decided to become a full time musician at the age of 17. Lake joined his first band, Unit Four, playing cover songs as their singer and guitarist, through 1965. Following their split, Lake and Unit Four bassist Dave Genes formed another covers group, the Time Checks, until 1966. He then became a member of The Shame, where he is featured on their single, "Don't Go Away Little Girl", written by Janis Ian. During his stay in Carlisle for a gig, Lake contracted pneumonia and continued to perform on stage. His band mates refused to drive back home that night, leaving Lake to sleep in the van where he "woke up blue ... When we got home I was nearly dead ... That was probably the worst I went through". Following a brief stint in the Shy Limbs, by 1968 Lake was involved with The Gods, based in Hatfield, which he described as "a very poor training college", but the group secured a residency at the famous Marquee Club in London. Lake left the group in 1968 over creative differences as the band were to enter the recording studio. Their keyboardist Ken Hensley later said that Lake "was far too talented to be kept in the background". In the 1960s, Lake formed a friendship with future King Crimson co-founder and guitarist Robert Fripp, who was also from Dorset, had received lessons from Strike, and saw Lake perform in Unit Four in Poole. When Fripp formed King Crimson, he chose Lake to be the singer and bassist. This marked Lake's first time playing the instrument as he had primarily been a guitarist for the previous eleven years. Though Peter Sinfield was the band's lyricist, Lake had some involvement in the lyrics for their debut album In the Court of the Crimson King. After their contracted producer Tony Clarke walked away from the project, Lake produced the album. Released in October 1969, the album was an immediate commercial and critical success, as Lake recalled: "There was this huge wave of response. The audiences were really into us because we were an underground thing – the critics loved us because we offered something fresh". King Crimson supported In the Court of the Crimson King with a tour of the UK and the US, with some of the shows featuring rock band The Nice as the opening act. During the US leg, Lake struck up a friendship with Nice keyboardist Keith Emerson and the two shared similar musical interests and talked about the benefits of forming a new group. When King Crimson returned to the UK in early 1970, Lake agreed to sing on the band's second album, In the Wake of Poseidon, and appear on the music television show Top of the Pops with them, performing the song "Cat Food". In April 1970, Lake left King Crimson and reunited with Emerson, along with drummer Carl Palmer of The Crazy World of Arthur Brown and Atomic Rooster to form a progressive rock supergroup, Emerson, Lake & Palmer. As well as bass, Lake contributed acoustic and electric guitar work to Emerson Lake & Palmer, and his voice had a wider and more diverse range than anything The Nice had recorded. Emerson, Lake & Palmer became one of the most successful groups in the 1970s. Lake became known for performing on a Persian carpet on stage, which originally sold for £1,500 and, by 1976, had increased its value to £7,000. In addition, Lake would change his guitar strings after each show on tour. Emerson, Lake & Palmer conflicted between Emerson's interest in complex, classically-influenced music and Lake's more straightforward rock tastes. Lake began with a Fender bass before he switched to a Gibson Ripper. During the making of the band's second album Tarkus, Lake initially rejected the title track, but was persuaded to record it following a band meeting with management, which ended in the addition of an original Lake tune, "Battlefield", into the suite. Lake's track "From the Beginning", released on Trilogy in 1972, had no particular source of inspiration; "I just felt an inspiration to do it, and it flowed through me in a natural way. My hands fell upon these very unusual chords ... It was kind of a gift". It was released as a single, and reached number 39 in the US. In 1974, Emerson, Lake & Palmer took a break in activity. Lake used this time to focus on his family life, travel, and write and release music. By then the band were tax exiles and relocated to Switzerland, France, Canada and the Bahamas as they were restricted to two months stay in England a year. In March 1977 the band released Works Volume 1, a double album featuring one side dedicated to each member. Lake wrote five acoustic songs with lyrical assistance from Sinfield, with a conscious effort not to record "just ballads" and attempt a wider variety of musical styles. He then incorporated orchestral overdubs to the songs. One of them, "C'est la Vie", was released as a single. Lake called the album the "beginning of the end" of the band, as he no longer produced their future albums, neither of which were a "really innovative record". They band split in 1979 following the unsuccessful album Love Beach, an album the group were contractually obliged to record. The group reformed for a number of years in the mid-1990s before permanently disbanding barring a one-off gig in 2010. In 1975, while still a member of ELP, Lake achieved solo chart success when his single, "I Believe in Father Christmas", reached number two on the UK Singles Chart. It has become a Yuletide perennial. In the UK, the single sold over 13,000 copies in two days. Several months following the break-up of ELP in 1979, Lake began to write new songs and had "put down a tremendous amount of material" for his first solo album. He travelled to Los Angeles and worked with a group of session musicians to develop his songs further, but he found a lack of personality in the music, though not at the fault of the performers. 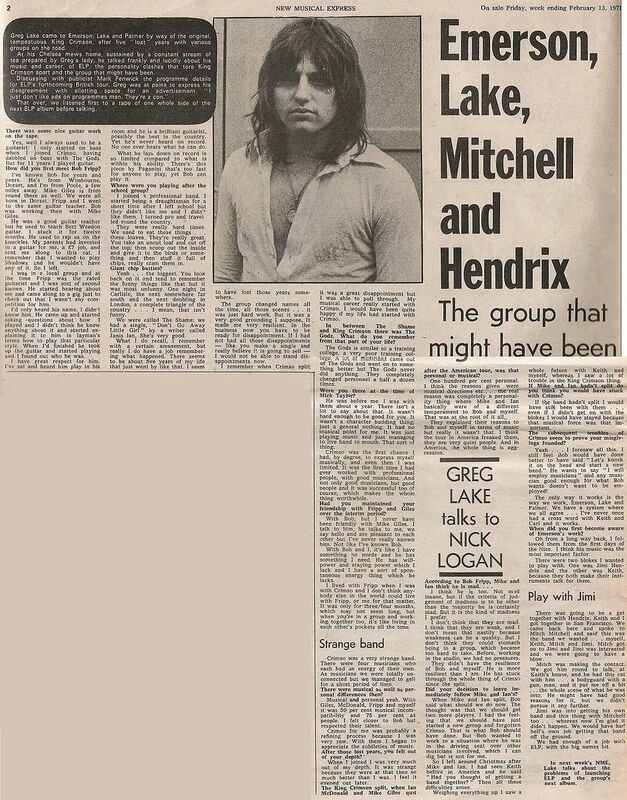 Lake realised he wished to play as part of a group, and began to assemble members of the Greg Lake Band. 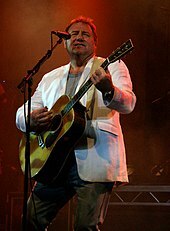 The result, Greg Lake, was released in September 1981 on Chrysalis Records, which reached number 62 in the UK and the US. Lake supported the album with a tour, of which their debut gig took place in August 1981 at the Reading Festival with Gary Moore on guitars, Ted McKenna on drums, Tommy Eyre on keyboards, and Triss Margetts on bass. Lake's second solo album, Manoeuvres, was released in 1983. Later that year, he briefly joined the 1980s supergroup Asia, replacing fellow King Crimson alumnus John Wetton, and then co-formed Emerson, Lake & Powell. In 2001, Lake toured as a member of the seventh incarnation of Ringo Starr & His All-Starr Band. In 2003, Lake played the bass on The Who song "Real Good Looking Boy". The group's usual bassist, Pino Palladino, was set to do it but he was touring during the time of recording, so Lake was asked instead. In 2005, Lake toured Germany and the UK with his assembled group, the Greg Lake Band, which included David Arch on keyboards, Florian Opahle on guitar, Trevor Barry on bass, and Brett Morgan on drums. In 2006, Lake played as a member of the supergroup The RD Crusaders in aid for charity. Lake performed "Karn Evil 9" with the Trans-Siberian Orchestra at several shows. He was a special guest on their album Night Castle (2009). In 2010, Lake and Emerson completed an acoustic world tour, performing ELP songs. The tour got off at a bad start following a backstage altercation between the two, but "we completed the tour and it was very happy. We actually ended up enjoying ourselves". In July 2010, Lake joined Emerson and Palmer for a one-off gig from Emerson, Lake & Palmer at the High Voltage Festival in Victoria Park, London, to commemorate the band's fortieth anniversary. The concert was released on CD, DVD, and Blu-ray as High Voltage. It was the final performance by the group. Lake wished to continue touring, but claimed his band mates "didn't want to", thus ending such plans. Lake continued to tour solo in the 2010s. His Songs of a Lifetime Tour began in 2012 which featured songs of his career and those by his favourite artists, including Elvis Presley and Johnny Kidd & the Pirates. The tour ended in November of that year. The tour spawned the live album, Songs of a Lifetime (2013). On 9 January 2016, he was awarded an honorary degree in music and lyrics composition by Conservatorio Nicolini in Piacenza, Italy, the first degree awarded by the conservatory. Lake spent several years writing his autobiography Lucky Man, which is set for release in 2017. In late 1974, Lake moved from a flat in Cornwall Gardens in Kensington, London to a home near Windsor. Lake later lived in the Kingston and Richmond areas of London with his wife Regina. The couple had one daughter, Natasha. Lake died in London on 7 December 2016, at the age of 69, after suffering from cancer. His manager announced the news on Twitter, describing Lake's battle with the illness as "long and stubborn". He was paid tribute by fellow progressive rock musicians Rick Wakeman, Steve Hackett, Ringo Starr, John Wetton, and ELP drummer Carl Palmer. With Lake's passing, Palmer is the last surviving member of the group. Jump up ^ Tarkus (Media notes). Island Records. 1971. ILPS 9155. Jump up ^ Brain Salad Surgery (Media notes). Manticore Records. 1973. K53501. ^ Jump up to: a b "Greg Lake, legendary prog rock bassist, dies aged 69". The Guardian. 8 December 2016. Retrieved 8 December 2016. ^ Jump up to: a b "Greg Lake, of King Crimson and Emerson, Lake and Palmer, Dies at 69". The New York Times. Retrieved 9 December 2016. ^ Jump up to: a b c Lewis, Randy (8 December 2016). "Greg Lake —founding member of King Crimson and Emerson, Lake and Palmer — dies at 69". The Los Angeles Times. Retrieved 9 December 2016. ^ Jump up to: a b c d Crabtree, Halima (October 2013). "Greg Lake: Parkstone's pioneer of 'prog rock'". Parkstone Matters. Retrieved 8 December 2016. Jump up ^ Macan 2006, p. 51. Jump up ^ Macan 2006, pp. 51–52. ^ Jump up to: a b c Macan 2006, p. 52. Jump up ^ Colin Larkin, ed. (2006). The Encyclopedia of Popular Music: Kollington – Morphine. Muze. p. 70. ISBN 978-0-195-31373-4. Jump up ^ Wright, Jeb. "Greg Lake: The Lucky Man". Classic Rock Revisited. Retrieved 8 December 2016. Jump up ^ "Interview with GREG LAKE". DMME. May 2013. Retrieved 8 December 2016. ^ Jump up to: a b c d e f g h Logan, Nick (13 February 1971). "Emerson, Lake, Mitchell and Hendrix". New Musical Express: 2. Retrieved 8 December 2016. ^ Jump up to: a b Macan 2006, p. 53. ^ Jump up to: a b c Welch, Chris (December 1981). "Birth of a Band". International Musician and Recording World: 28–29, 31. Retrieved 8 December 2016. ^ Jump up to: a b c d e Macan 2006, p. 54. ^ Jump up to: a b Macan 2006, p. 55. ^ Jump up to: a b Macan 2006, p. 57. ^ Jump up to: a b Macan 2006, p. 58. Jump up ^ "'Well, how hard could it be? ': Greg Lake on his switch to bass for the first King Crimson project | Something Else!". Somethingelsereviews.com. Retrieved 6 October 2016. Jump up ^ Romano 2014, p. 82. ^ Jump up to: a b c Greg Lake (1997). Epitaph (Booklet notes). King Crimson. Discipline Global Mobile. DGM9607. ^ Jump up to: a b c Savage, Mark (8 December 2016). "Greg Lake: King Crimson and ELP star dies aged 69". BBC News. Archived from the original on 8 December 2016. Retrieved 8 December 2016. Jump up ^ "King Crimson Holy Grail : Lost 1970 performance of Cat Food found". Dangerous Minds. 12 January 2015. Retrieved 8 December 2016. Jump up ^ Macan 1997, p. 39. ^ Jump up to: a b c d "Greg Lake Stays Home". International Musician and Recording World. January 1976. Retrieved 9 December 2016. Jump up ^ Macan 1997, p. 117. ^ Jump up to: a b c d e Greene, Andy (5 March 2013). "Prog Rock Pioneer Greg Lake Talks King Crimson Reunion, Kanye". Rolling Stone. Retrieved 8 December 2016. Jump up ^ "From the Beginning". AllMusic. Retrieved 8 February 2012. ^ Jump up to: a b c "The works on ELP". Melody Maker. 12 March 1977. Retrieved 9 December 2016. ^ Jump up to: a b c Kyriazis, Stefan (8 December 2016). "Greg Lake dies at 69: One of his last interviews 'ELP were never mates like the Beatles'". The Express. Retrieved 8 December 2016. ^ Jump up to: a b Peter Buckley, ed. (2003). The Rough Guide to Rock. Rough Guides. pp. 345–6. ISBN 978-1-843-53105-0. Jump up ^ Mulholland, Garry (19 December 2014). "The Making Of… Greg Lake's I Believe In Father Christmas". Uncut. Retrieved 17 August 2015. Jump up ^ "Greg Lake's chart positions in the UK". The Official Charts Company. Jump up ^ "Greg Lake and "Nuclear Attack" chart positions in the US". Billboard. Jump up ^ "Greg Lake Band and Tour Info". The Official Greg Lake website. Retrieved 17 August 2015. ^ Jump up to: a b Gunavardhana, Emma (11 October 2005). "At Home With the Rock Legend, Greg Lake". OK!. Retrieved 8 December 2016. Jump up ^ DAN ARMONAITIS (30 September 2016). "Trans-Siberian Orchestra gets progressive rock seal of approval – Entertainment – GoUpstate – Spartanburg, SC". GoUpstate.com. Retrieved 6 October 2016. Jump up ^ "Night Castle : Credits". AllMusic. Retrieved 8 December 2016. Jump up ^ "ELP To Release High Voltage Film". Planet Rock. Retrieved 8 December 2016. Jump up ^ "Conservatorio Nicolini, prime lauree honoris causa a star del rock internazionali". Piacenza Sera (in Italian). 4 January 2016. Retrieved 8 December 2016. Jump up ^ Grimes, William (8 December 2016). "Greg Lake, of King Crimson and Emerson, Lake and Palmer, Dies at 69". The New York Times. Jump up ^ "Greg Lake: Music world pays tribute to prog icon". 8 December 2016. Jump up ^ "discography". greglake.com. Retrieved 8 December 2016. Macan, Edward (2006). Endless Enigma: A Musical Biography of Emerson, Lake & Palmer. Open Court Publishing Company. ISBN 0-8126-9596-8. Macan, Edward (1997). Rocking the Classics: English Progressive Rock and the Counterculture. Oxford University Press. ISBN 978-0-195-09887-7. Romano, Will (2014). Prog Rock FAQ: All That's Left to Know About Rock's Most Progressive Music. Hal Leonard Corporation. ISBN 978-1-617-13620-7. Forrester, George; Hanson, Martyn; Askew, Frank (2001). Emerson, Lake & Palmer, The Show That Never Ends, A Musical Biography. Helter Skelter Publishing. ISBN 1-900924-17-X. 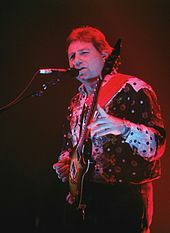 Wikimedia Commons has media related to Greg Lake.